One of the best kept secrets, in Rotherhithe, is the Brunel Museum, celebrating the engineering masterpiece by Marc Isambard Brunel that is the Thames Tunnel: the first underwater tunnel ever built in the world. Even less people know that well-behaved dogs are welcome there. 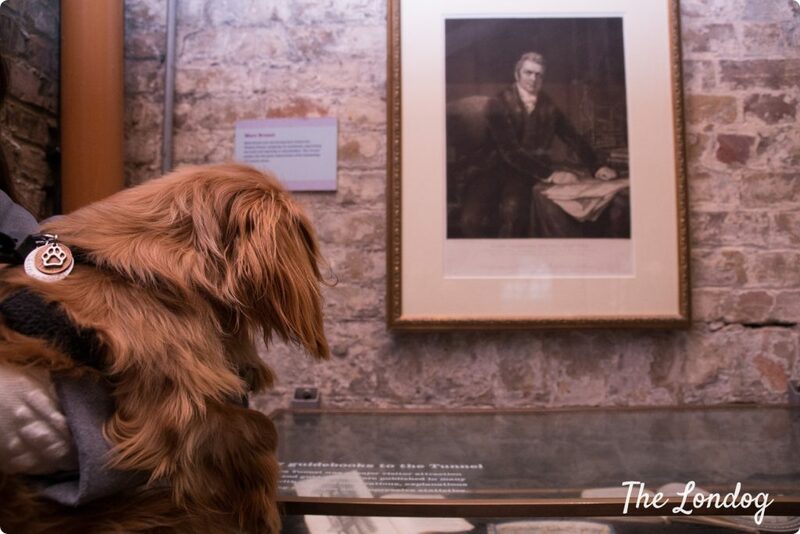 If you are looking for a different dog day or dog evening out, there are a few dog-friendly options that involve a visit to the Brunel. 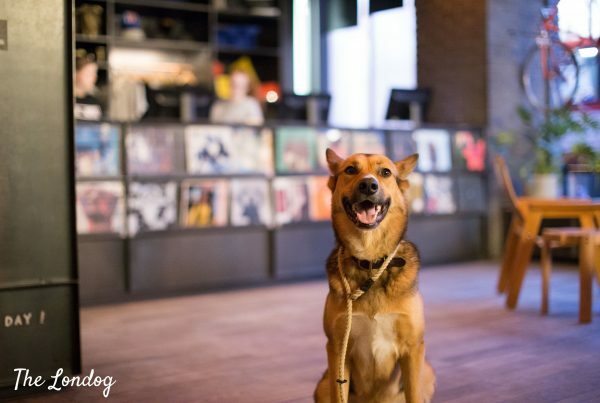 We tell you about these in this post, the first in our new Guides Series, all about Londog dog days out: guides with itineraries and plans encompassing unique dog-friendly experiences and hangouts as well as dog-friendly places nearby to complement your day out plans. 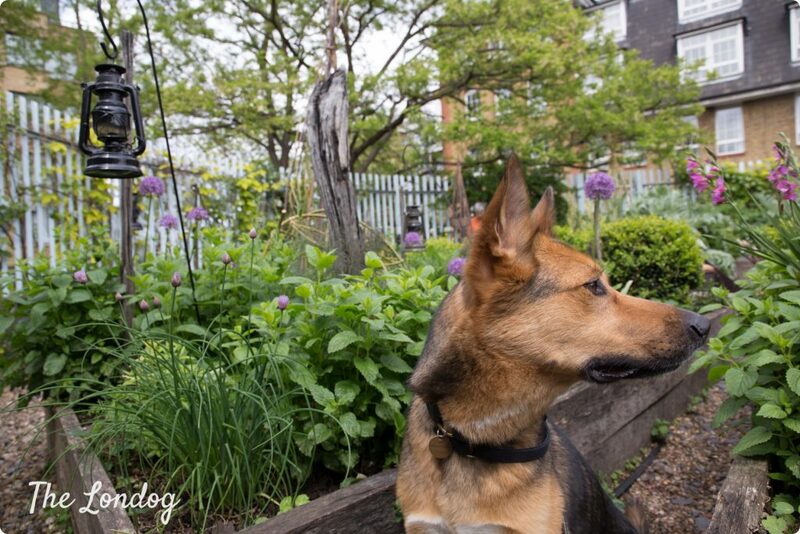 Rotherhithe village, with the dog-friendly Surrey Docks Farm, the lovely Russia Dock Woodland and Stave Hill Ecological Park, as well as the enjoyable Thames Path, has much to offer for dogs. 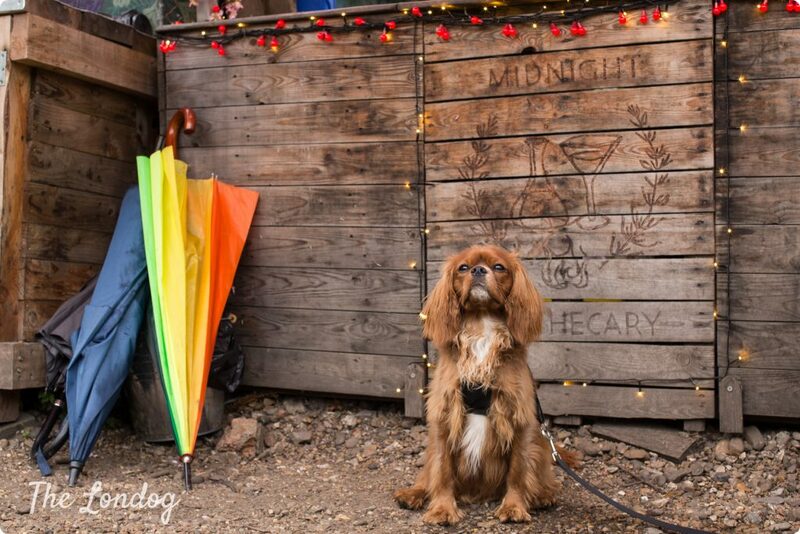 Despite having walked past the Brunel Museum so many times, I had never paid too much attention to it and I didn’t know it was dog-friendly until a recent chat with Tabasco the Cavalier’s owner Kristina (@tabascothecav) – who is a big fan of the place and I must thank for the tip -. We went on an adventure together to visit the Brunel and its rooftop garden a few weeks ago. Later, Argo, my husband and I went on a second expedition, to check out the awesome guided boat and museum tour which starts from Embankment and ends at the Brunel Museum. 2. 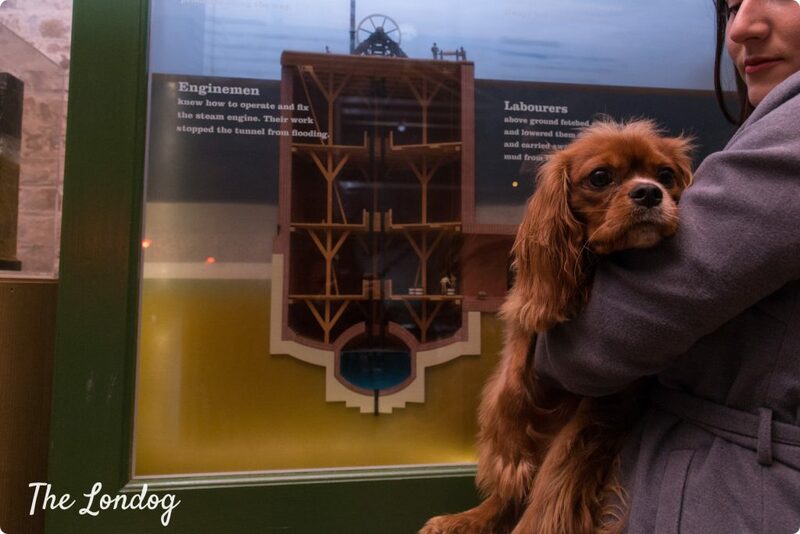 Dog Evening Out: Brunel Museum + Midnight Apothecary. 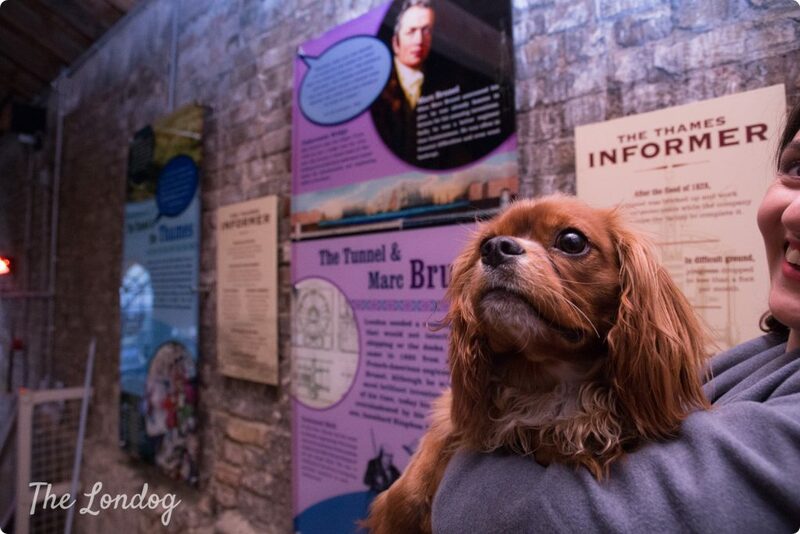 The Brunel Museum is a very small one, so, unless you are local, I would recommend including it in a richer experience and day out with your dog. One of the available options is the Brunel guided boat tour and river walk, organised by London Walks. In order to participate to the guided tour you will need to clear your schedule from 10.30 to approximately 2pm and, if you fancy going for lunch or other adventures in the surroundings, you will need to allow some extra time. The meeting point for the guided tour is just outside Embankment tube station and you don’t need to book in advance, but just turn up on the day. We got there a bit earlier on a Sunday morning and met our guide Kevin (who leads the Sunday tours), who explained us how the tour would unfold. 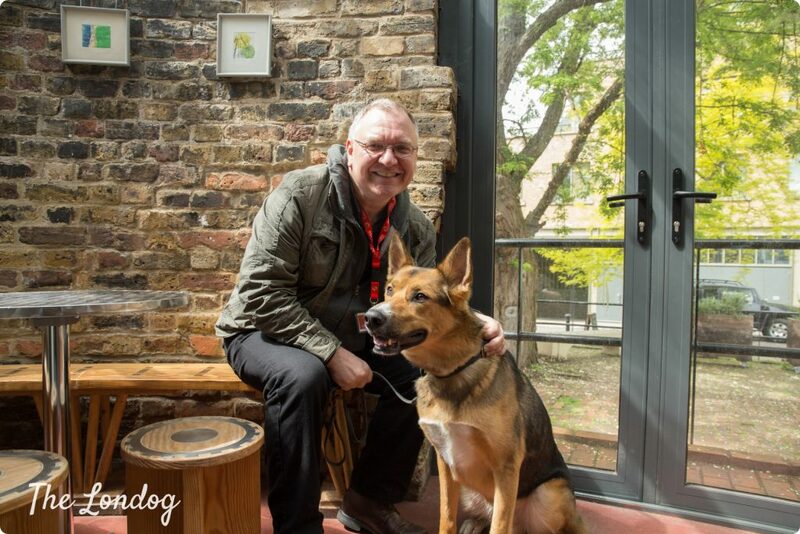 He later told us that Argo was his first canine participant, how exciting! All stretches of the tour are dog-friendly and we found that some other participants were big dog lovers too. Our guide Kevin was extremely knowledgeable and told us so many history gems and curiosities as we sailed on the Thames Clipper by the London Eye, all the bridges on the Thames, the Tower of London and down to Masthouse Terrace Pier, on the Isle of Dogs. Argo was very quiet during our 45ish-minutes boat trip and laid down on our feet after looking out of the window for the first minutes. At Masthouse Terrace Pier, we stopped by to see the remains of the Great Eastern’s launch ramp (a cruise ship designed by Brunel), and enjoyed a stroll along the Thames Path to Island Gardens station. The trains stretch from there to Rotherhithe included DLR, Jubilee and Overground (but just a handful of stops, so it was quick). 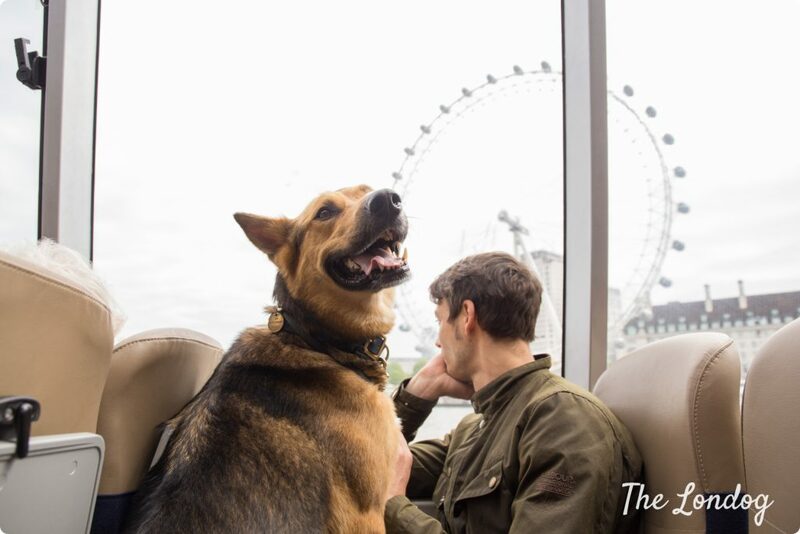 Argo was carried by my husband on the escalators at Canary Wharf and Canada Water stations, which made him become the little star of the tour, but don’t worry: there is an escalators free route if you prefer! Price: The guided tour costs £10, which includes the entrance to the Museum; you must add the (50% discounted) cost of the boat ride on top, which makes it £15 in total per person (paid directly to your guide). Finally, note that you will have to tap in for the train ride from Island Gardens to Rotherhithe, so you will need a valid Oyster card/ticket/contactless card. Once we got in Rotherhithe, we continued the tour with our guide and descended the Grand Entrance Hall. He explained everything about how and why the Thames Tunnel was built and its later use. Today you can’t have a walk in the Thames Tunnels, because they are used by the Overground trains. In fact, when I had visited the Grand Entrance Hall with Tabasco and Kristina, the museum guide giggled saying that the only way to walk through the tunnels today is to start walking from the head of an overground train to the back, adding that “even then it may prove difficult because of the acceleration”. However, you can still access the Grand Entrance Hall, where at times are hosted events and concerts. 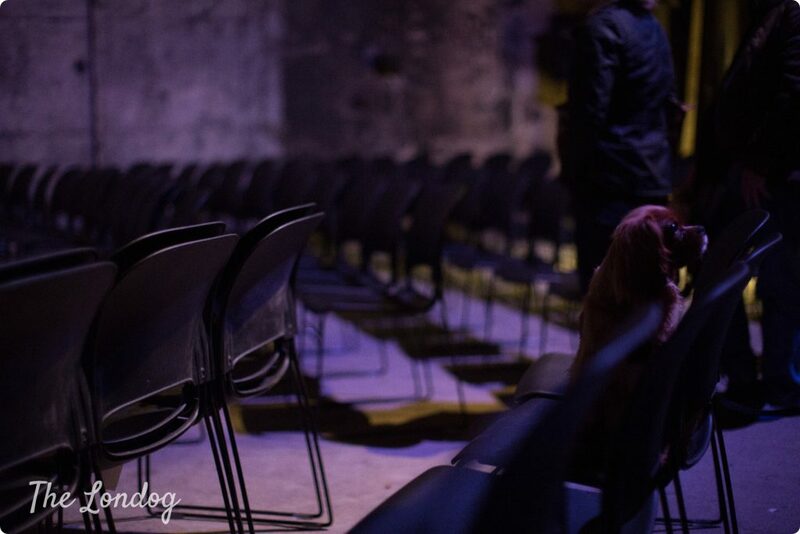 At the Brunel Museum you will find a mezzanine with informational materials about the site, a lower floor where you can watch a documentary on a small tv, a corner shop and a little cafe. Dogs at the museum. When I visited the museum with Tabasco and Kristina, our guide highlighted that dogs are allowed but not encouraged and only well-behaved pooches will be allowed to enter the premises. This caveat is surely one more reason to be extra considerate when visiting the Museum to help dogs maintaine this privilege! The Mayflower Pub. 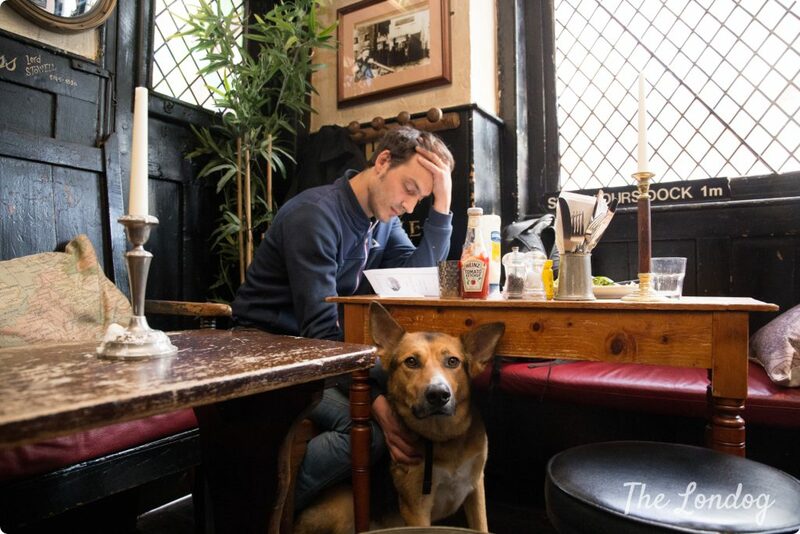 After the visit of the museum, Argo, my husband and I decided to go for a bite and found out that The Mayflower pub, just a few paces from the Brunel, is dog-friendly. The Mayflower – which is said to be the oldest pub on the Thames (popular among Pilgrims Fathers,pirates and others) -, has a truly enchanting setting. Although the Sunday Roast I had was not my favourite ever, I wouldn’t have wanted to go and have lunch anywhere else! 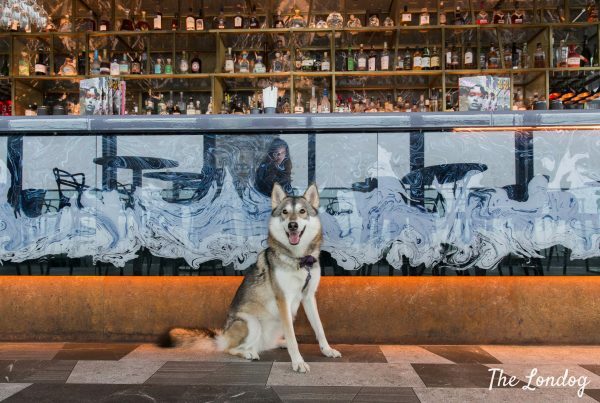 Dogs are allowed on the ground floor and in the terrace; the only rules you must abide by: are dogs on leash and “paws on the floor”, of which guests are reminded by the signs in the pub. The staff is very considerate and, as soon as we sat down at a table, they came over to bring Argo a water bowl. At the table next to ours there was a little sweet mutt and we spotted another dog on the other side of the bar too and it seems that the pub is very popular with canines. Simplicity restaurant and cafe. 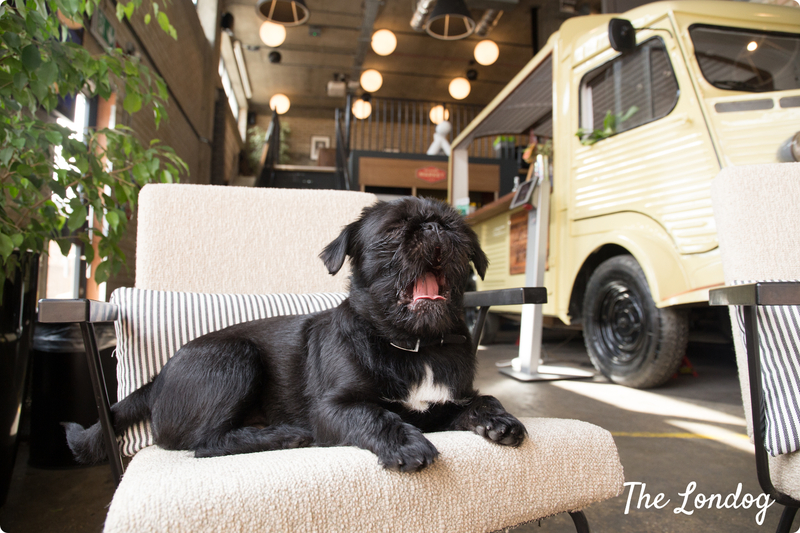 Another dog-friendly eatery, just a few paces far from the Brunel Museum, is the Simplicity cafe’ and restaurant, which prepares British food and often has a new menu. We didn’t try it, but from reviews on Tripadvisor it seems decent. Dog-wise, the chef confirmed that dogs are allowed both at the tables outside (on the footpath) and inside (there are a few tables on the footpath). If you are looking for something fun but more easy/less time consuming, an option is visiting the Brunel Museum and spending the evening at the Midnight Apothecary. The latter is a campfire cocktails event held on the Brunel’s rooftop garden (on top of the Grand Entrance Hall), where you can sip cocktails (or mocktails) while roasting marshmallows on the fire. There are wooden benches around the campfire and lamps in the garden, which has herbs, flowers, and – at the moment – even a blooming wisteria. The Midnight Apothecary is open (from the end of April until the end of September) on Fridays and Saturdays evening only, from 5 to 10.30pm. There are two sittings: 5 to 7.30pm and 7.30 to 10.30pm. Entry costs £4 and includes admission to the roof garden and the Museum, optional guided descent into Brunel’s underground Grand Entrance Hall beneath the garden and complimentary toasted marshmallows. When we visited the rooftop garden, the Cocktail Gardener explained that she personally cut and sharpened the branches you use to toast the marshmallows! The list of drinks (which changes according to the herbs of the garden) includes a range of cocktails with various herbs (£8), mocktails and beers (£4). If it rains, they prepare everything inside the Museum so you have a rainproof option too. We hope this provided you with some good inspiration and stay tuned for the next guides! Are you looking for some particular activity/place you would like us to dig into? Let us know at hello(at)thelondog.com or message us on social media! The boat tour sounds amazing! Your blog is full of great ideas, we love it! Thank you Kelly and Elsa! I hope I will see you soon in London!